Heading into the 2015-16 season, the Pittsburgh Penguins are a dramatically different team than they were just one year ago. Gone are players like Nick Spaling, Zach Sill, Steve Downie and Marcel Goc, and they’re replacements, at least on paper, are quite a bit better. The Penguins head into the season with the deepest group of forwards they have had in years and they’re the envy of the league because of their salary cap structure. The Penguins have spent $50.863 million on forwards, which is 71.24 percent of the $71.4 million dollar salary cap. It’s clear, now more than ever, the Penguins are gunning for another Stanley Cup while Sidney Crosby and Evgeni Malkin are still in the prime of their careers. But it will not be just the 2015-16 season where they spend almost all of their cap on forwards, as the only notable free agents next offseason are Olli Maatta (RFA), Sergei Plotnikov (RFA) and David Perron (UFA). It’s easy to see that with this current group of players, the Penguins will have at least the next two years to try and bring home another cup, but they need some help from their up and coming players. With that being said here are the three Penguins who are most likely to have a breakout season. Just two years ago, Maatta came into the Penguins’ training camp as a relatively unknown prospect with very little expected from him. However, he showed a couple of things in that training camp, he possesses more talent than many initially thought and he is willing to work harder with more dedication than most NHL players. Maatta’s performance showed General Manager Ray Shero and head coach Dan Bylsma, that he was ready for the big stage. During the 2013-14 season, Maatta went from an unknown entity to a top-four defender and logging over 18:30 of ice time per night. He additionally showed more offensive prowess than many expected as he scored nine goals and assisted on 20 more, for a total of 29 points. However it was not until after their playoff run that it was announced that Maatta would have surgery to repair his shoulder. Maatta recovered quicker than anticipated and was ready for training camp, but despite starting 2014-15 on a tear, his season was more than forgettable for the 20-year-old defender. In just 20 games, Maatta scored a goal, assisted on eight others while logging over 20 minutes of ice time. He was having a breakout season, but he was diagnosed with a cancerous tumor that forced him out of the lineup and later had to undergo yet another shoulder surgery. Maatta’s last season for the Penguins certainly wasn’t the best, but he showed a ton of potential. In 2015-16 he will have to take “the next step” as he will be playing on the top pairing alongside Kris Letang. Oh, and did we mention? He is entering a contract year and he will be more motivated than ever to prove to the Penguins he is worth a giant contract. 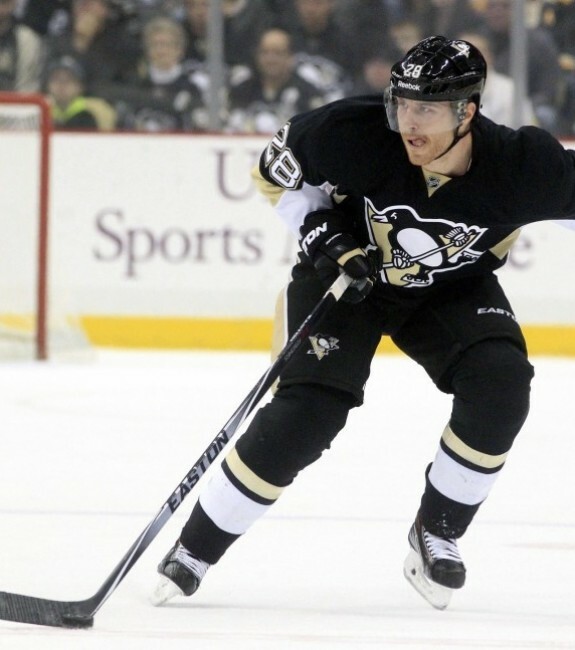 At the trade deadline the Penguins acquired Ian Cole from the St. Louis Blues. Robert Bortuzzo and a seventh-round draft pick went to St. Louis and Cole came to Pittsburgh, a deal that many still consider a heist. The 26-year old defender was a first-round pick in the 2007 NHL entry draft and was never given a chance on St. Louis’ loaded blue line. 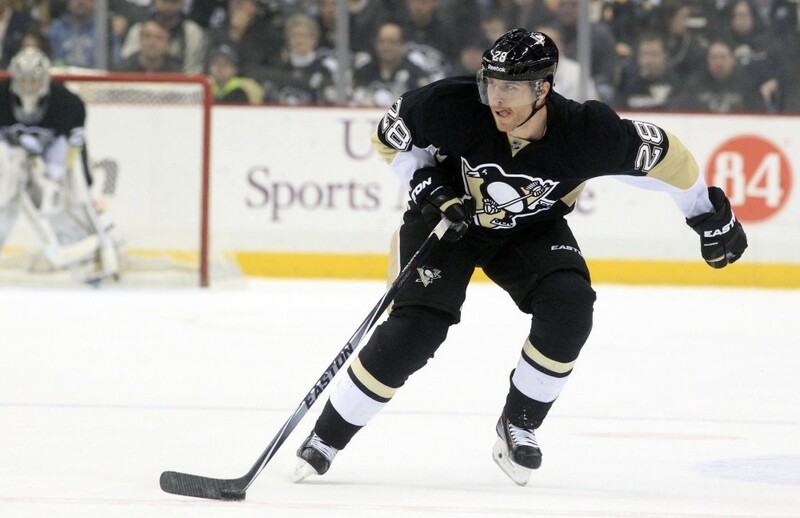 Cole needed change of scenery and he proved to the Penguins that he was rightfully selected in the first-round. In 20 regular season games with Pittsburgh, he scored eight points, while in his first 54 games with St. Louis he only scored nine. He saw the highest ice time of his career of 18:30 minutes per night through the end of the regular season where he worked his way to a 57% Corsi For percentage. The Penguins loved what they saw in his play and signed him to a three-year contract shortly into the offseason. However, there are still some who question whether Cole can maintain his strong play for 82 games. Some believe that Cole will have a career season very similar to Matt Niskanen did with the Penguins, but will he? Here’s a player that no one should be surprised about. Derrick Pouliot is without a doubt the most talented player on the Penguins blueline. You could certainly make an argument for Kris Letang, but he’s shown an inability to quarterback the powerplay and has struggled playing away from Paul Martin. During the 2014-15 season, Pouliot was the Penguins’ rookie of the year, but that was because he was their only rookie at the NHL level. He appeared in 34 games, scored two goals, assisted on five more and was a -11 skater. Pouliot has excellent vision, acceleration and showed that he is more than capable of producing offensively. However, he has problems playing in his own end and most of that can be attributed to his attitude, which is not meant to be an insult. Pouliot certainly isn’t a lazy person, but he has always been able to overwhelm opponents with his raw talent. He has spent almost all of his career only utilizing his otherworldly talent, but he has quickly learned you cannot win on talent alone in the NHL. This offseason, Pouliot spent time training with the Penguins’ Sports Performance Center coordinator, Gary Roberts. Some have even gone to call him ‘Scary Gary’ as his training and diet regiment are world renowned. Roberts has worked with former Penguins James Neal and Jordan Staal, and with Steven Stamkos, Brayden Schenn, Jeff Skinner and Cody Hodgson. During the offseason Pouliot has lot eight pounds of fat and added a lot of lean muscle. However, his first focus has remained playing offense, instead of defending. When asked about how he needed to improve the most, it was always focused on being bigger part of the offense, jumping into the play, providing support from the blueline and becoming a better defender was an afterthought. Derrick Pouliot is slotted to take a spot in the top-four this offseason and it’s great to see him working hard with ‘Scary Gary’ but he must focus on playing in his own end. He is in perfect position to have a breakout season, all he needs to do is hone his defensive game and stay healthy.